Live Music, Pet Friendly, Games and More! Tysons Biergarten follows a heritage of 400 years of Bavarian beer halls (or “bier halls,” as we like to call it) and beer gardens (biergartens). Our bier hall provides a community-oriented atmosphere, while our sizable outdoor biergarten patio area offers a relaxing, vibrant feel. Our main bier hall offers some of Germany and Belgium’s finest biers, along with seasonal specialties. Tysons Biergarten also features 100+ American Craft beers; come and sample a few at the Biergarten or build your own six-pack to go! We source our ingredients through local farmers and growers whenever possible and offer mouthwatering ingredients to give your taste buds a different and flavorful experience. 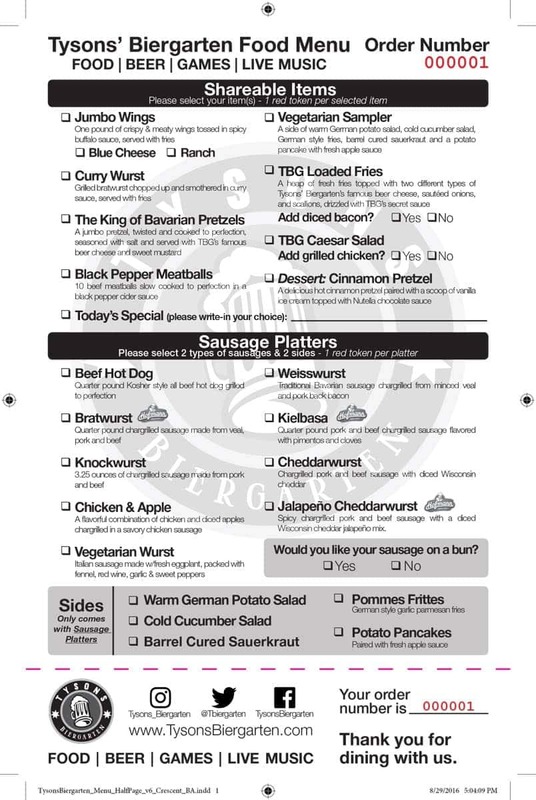 Stop by and enjoy some delicious sausages… bratwursts, knockwurst, and the like. We have live music 7 days a week (4 in the winter) and host festivals as often as possible. Stay tuned to see what we will have scheduled for you! Tysons Biergarten is nestled in the heart of Tysons, Virginia just minutes away from Washington D.C. Whether you are looking for traditional German wheat bier or local Craft brews, Tysons Biergarten is the place to indulge in the top of the line, wide-range bier selections. Don’t forget to take a moment to enjoy a breath of fresh air on our 8000 square foot patio; there’s nothing more relaxing than open air, bratwursts and a nice cold bier! Tysons Biergarten exceeds the norms of your average Biergarten. We serve the best German and Belgian biers, as well as an extensive American craft beer list. Tysons Biergarten is sure to have the perfect bier for every patron. Our menu is simple, but is made up of Biergarten favorites, such as pretzels, as well as a wide-range of flavorful sausages and wings. Click here for our food menu. Renowned local vineyards, as well as German vineyards, provide our distinct selection of wines. This gives each guest a chance to select from a variety of tastes and textures that best suit their meal and palate. Click here for our wine menu. A bier cocktail is a specialty drink that is made by mixing bier with a distilled beverage. 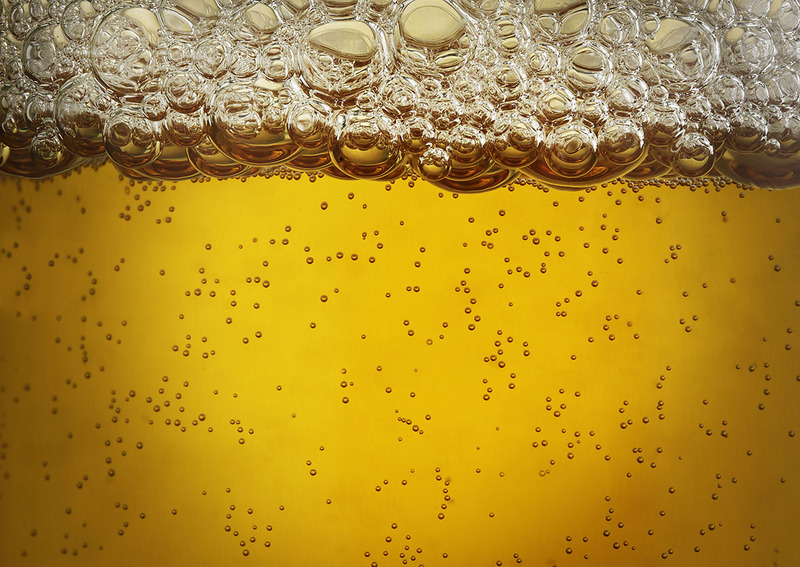 A mixture of bier with a beverage that contains a soft drink is typically referred to as “radler”. 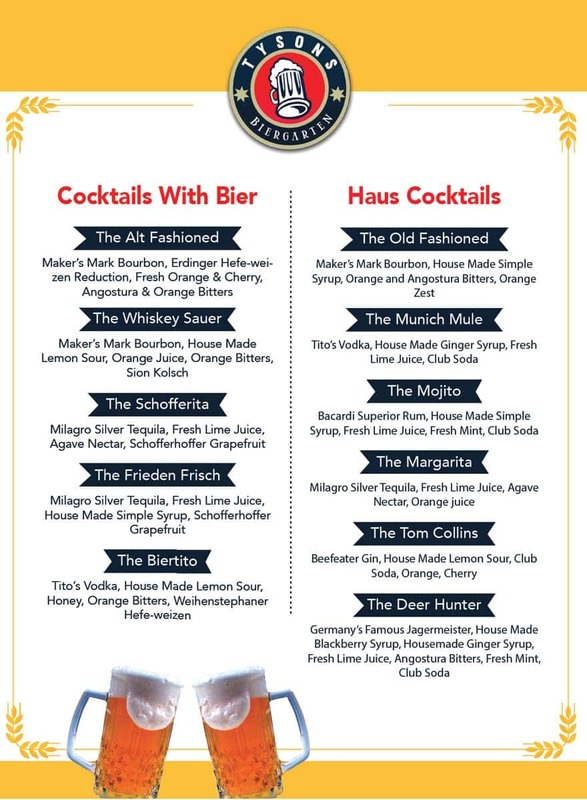 The infamous and thirst-quenching bier cocktails are found at every Biergarten in Germany; there’s no need to travel over 4000 miles for a bier cocktail when you can savor one, or two, at Tysons Biergarten. Click here for our cocktail menu. Room7 features over 60 different types of whiskeys and bourbons. We have whiskeys from Japan, Ireland, America and everywhere in between. Click here for our Whiskey Menu. Why chips? Are these guys crazy? When you come to Tysons Biergarten, you will purchase chips, a cue taken from Bavarian festivals & Biergartens. Chips are $8.48 each, including tax, and are then exchanged for food & drinks. One chip is equal to one beer, or one menu item. The reason for this is twofold: to be authentic as possible, and to be as fast as possible! We understand you may have to wait in two lines; however it speeds up the process of getting drinks. Bartenders no longer have to deal with cash, open a tab for you, or go through a bunch of tabs looking for your name. Also you do not have to wait to close your tab at night or worry about the bartender adding drinks to your tab or losing your credit card. It allows bartenders to quickly serve you your drink and give you much more attention than the “opening up a tab” system. Just let the bartenders know what you’d like, hand them a token, and enjoy your drink! Tokens are non-refundable, but never expire! Additionally, we’ve implemented a shared tipping system; tips left at the token booths or bar will be shared among all of our amazing staff: Bartenders, busboys, barbacks and cashiers. Please note: Once you buy a chip you can use it today or tomorrow or next month. Chips never expire and are non-refundable. We highly recommend buying more than one chip at a time so you don’t have to wait in line again. Driving here can be a little tricky. If you are coming on Route 7 (aka Leesburg Pike) from 495 you will pass Tysons’ Corner Mall on your right hand side. Keep going another mile under the Chain bridge/123 bridge. We are about 500 feet past the bridge. 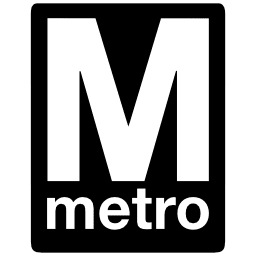 Tysons’ Biergarten is behind the Greensboro Station metro stop on Rt 7 going west. There is a Mens Wearhouse and a Big Screen store right next to us. There is no traffic light so if you are heading east on 7 (from Leesburg/Reston/Dulles Toll Road) you must pass the location and make the next “legal” U-turn and be going west in order to turn into the Biergarten. ❖We are located right behind the Mens Wearhouse, Big Screen Store and Evolution Audio/Visual next to Mint. At Tysons Biergarten, we want to hear from you! Contact us by filling out the form below and share your ideas with us. Our customers are what makes us great and we would love to hear all of your questions, suggestions and any feedback. We have a wide variety of events ranging from live music to festivals including bier tastings, bourbon and beer, pig roasts, wine festivals, sports and more.